I scored big time on the latest shoe styles from Target, including the brands Who What Wear, Aerosoles and Journee Collection. Let me show you what I found, and total up my big savings! 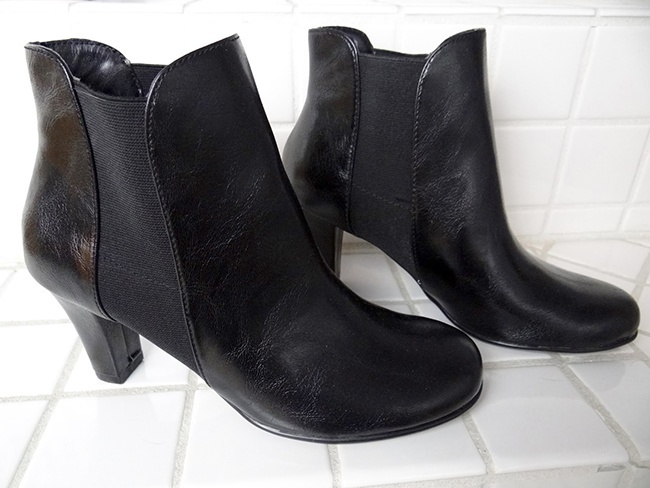 I've been searching all season for a new pair of black ankle boots that will pair with anything, and these are IT. They are simple with the perfect size heel and a very modern silhouette. Aerosoles are also a brand I SWEAR by—they make the best shoes built for both style and comfort. I have a pair of grey Target desert booties that I bought years ago, and I still rock them constantly to this day. This pair I found reminded me of those, but they have a heel and cute tassel laces. Grey is one of my top go-to neutrals and I'll be able to wear these shoes many different ways. Who doesn't love a good shade of wine? (Or glass? Or bottle? Or vat?) I wear so much of this shade during the fall and winter seasons that I'm honestly surprised my skin hasn't absorbed it. 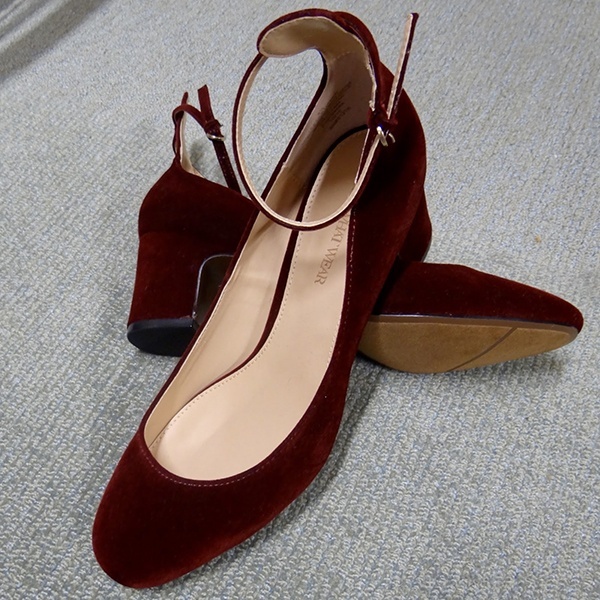 This shoe has a lot going for it: the color, block heels, ankle straps and suede. Talk about a trendsetter! Unfortunately this color has sold out at Target, but you can still find the same shoe in brown, which will pair with plenty of outfits! These pretties were swapped in my closet for similar black wedge ankle boots. My previous pair had a plastic wedge and laces. This pair has the suede finish with side zippers. The overall look of these booties are less casual and will pair well with dresses/skirts and tights this season. They complement my personal wardrobe better. This is BY FAR my favorite find! I was literally checking these boots out on the Target website the day before I found them. 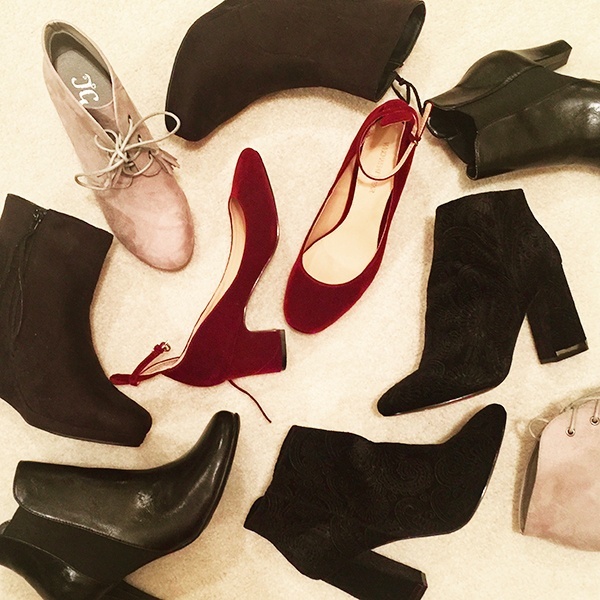 Velvet is obviously a hot trend on the rise, and more recently, velvet booties have been taking the town. 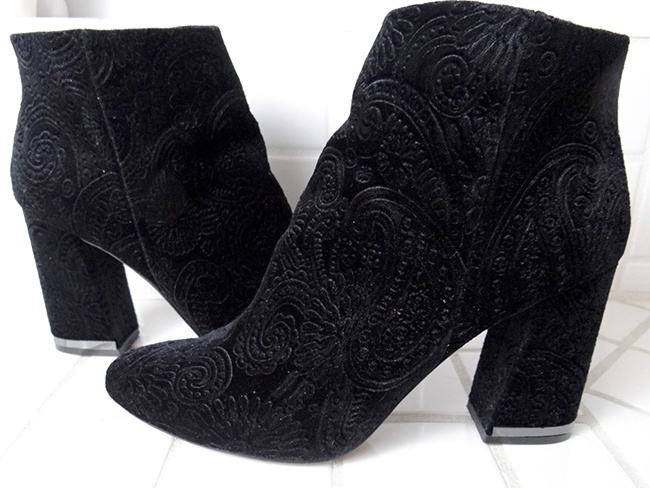 I already own a grey pair of velvet booties from New York and Company, but I love the textured pattern on this pair, plus the silver hardware on the block heel. SO cute and unique! Alright fashionistas, can you believe these prices?! Totally insane. After doing some research and some math, my total savings on these shoes is $205.20! This is an example of pure thrifting luck. Whenever I shop at Goodwill, I'm not always hitting a full blown jackpot like this. I find really great pieces every time I go, but I can't say I've ever found something THIS big. In the end, you have to keep hunting. You'll have good days and bad days at the thrift store, but if you don't take a good, deep look, you might miss your jackpot.